Half way through this bowl of D&R Rimbiche S.J. in a three quarter bend smooth 1985 Dunhill Chestnut 5202 with a cumberland stem. This will finish my stash. D&R Two Timer in a smooth 1976 Canadian GBD Seventy Six 256. Have enough for one more bowl. D&R London Dock in a 1980 smooth Lorenzo Ambra 803 Oom Paul with a lucite stem. Have enough left for one more bowl. I'm having trouble accessing pages and the site is moving slowly. Anybody else have this problem? 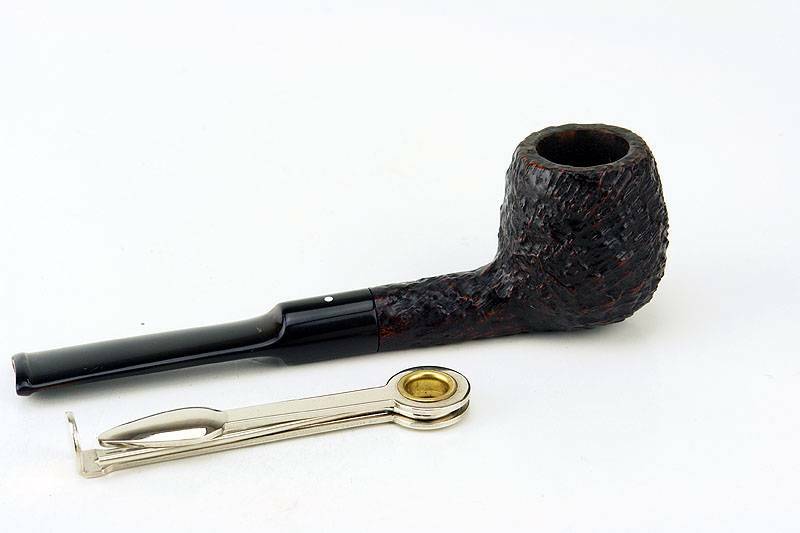 C&D Night Train in a 1970s small bowl smooth medium bend Danish Sovereign 324 volcano with a black vulcanite stem. Have enough left for one more bowl as I'm smoking up some of smaller tobacco samples. Having some late after dinner Red Va sweet, McC's FM 2000 in some oil cured Algerian Briar, my BY Dunhill Shell Patent Apple. a match made in heaven !! Royal Yacht in a Stanwell Nordic sandblasted billiard. Smoking the last of my open stash of Boswell’s Virginia Slices in a 2003 smooth Peterson Sherlock Holmes Series Baskerville. James Fox Provost Mixture in a 2003 medium bent Ural meer with a lined and etched egg shaped bowl. The last of my stash of Brebbia Latakia Flake #9 in a 2002 Ser Jacopo Delecta Fatta A Mano R1 sandblast Rhodesian with a smooth extension at the shank. Little over half way through this bowl of Edgeworth Ready Rubbed Match in a 1979 straight smooth Dr. Grabow Grand Duke 45 pot. Solani White and Black 763 in a 2002 IMP smooth full bend egg shaped meer. Have enough left for one more bowl. Part way through this bowl of D&R Rimboche A.B. in a 1980 three quarter bend long stem Ascorti New Dear KS egg. PS LBF in a Dunhill Liverpool. Just finished smoking D&R Vengeur Regular in a smooth 1998 Parker 489 three quarter bend Billiard. Not too far from finishing this bowl of 2012 Orlik Golden Sliced in a 1984 black sandblasted straight Dunhill Shell 4103 Billiard. A bottle of Mountain Dew made with pure cane sugar is my drink. Been a very busy day so far. Vanilla Cream Flake in a Londonaire bent billiard.